Strictly Limited Games has revealed that its next release will be the 2D metroidvania action-adventure Bunny Must Die! 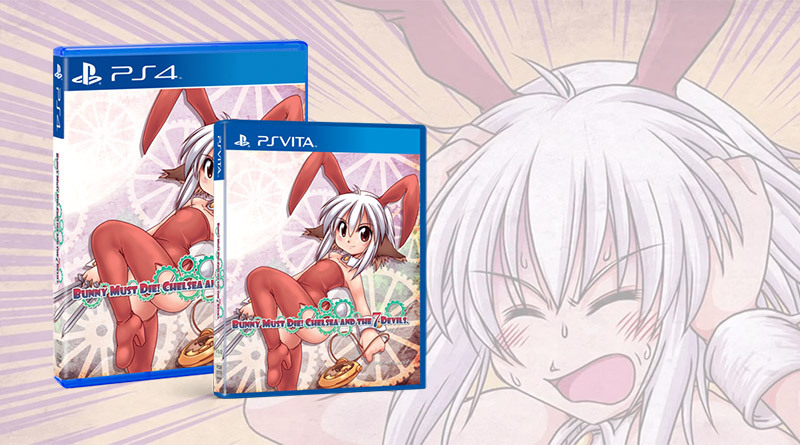 Chelsea and the 7 Devils for PS Vita and PS4. Developed by Platine Dispositif, Bunny Must Die! Chelsea and the 7 Devils will be available for the first time outside of Japan in English as a limited physical release on March 31, 2018 exclusively at Strictly Limited Games. Limited to 1,600 copies per platform, the standard edition will be available for €24.99 each (+ shipping). There will also be a Double-CD Soundtrack bundle which contains a copy of the game and the soundtrack on a double-CD (limited to 150 copies) for €39.99 each (+ shipping). Bunny Must Die! Chelsea and the 7 Devils is a challenging pixel-art metroidvania action-adventure. Bunny isn’t happy at all about her cat ears. Now she is out for a cure and revenge. Help her escape the Devil’s Labyrinth and defeat the 7 Devils. Can you help her?